Director Siva, who is teaming up with Thala Ajith for the fourth time in Viswasam, is quite upbeat about the film's prospects at the ticket window despite clashing with a big ticket project like Superstar Rajinikanth's Petta. In this exclusive chat with Firstpost, Siva talks about Viswasam, teaming up with Ajith Kumar for the fourth time, and Thala's response after watching the film's final copy recently. "Pongal is my favorite festival. I think Viswasam is my third Pongal release after Siruthai and Veeram. Although I wouldn't like to compare the four films I've collaborated with Ajith sir, I would say that Viswasam is close to my heart for a lot of reasons. In fact, after watching the final copy, Ajith sir told me that Viswasam is the best project among all our collaborations. It's the biggest compliment for me so far," Siva told Firstpost. Despite the box-office debacle of Vivegam, Ajith decided to go ahead with Siva for his next project which grabbed the attention of everyone a year back. "After Vivegam, the decision to join hands for the fourth time was solely Ajith sir's. It was always his call. And I obliged whole-heartedly. He's a very honest man, and he likes people who are honest. He totally respects me as a filmmaker, and I always make it a point to live up to his expectations whenever we join forces. As a director, I've given my total justice to Viswasam by putting my heart and soul into the project. I'm sure audiences will like it too. Viswasam will be an emotional mass entertainer for the festival audiences," he explained. Siva says Ajith's energy level is one of the major highlights of Viswasam. "As a writer, I wanted to cater to each segment of audiences across the spectrum to provide a wholesome experience. As of now, all our three projects were set against different backdrops. Likewise, Viswasam will also offer a fresh experience to viewers," he said, adding that Ajith has rocked all the dance moves in the film. "There's a lengthy single take in the chartbuster Adchithookku song in the second half. It went on for 40 seconds and Ajith sir made it a point to perform without any break in between. We were all in awe of his commitment and dedication." Talking about Ajith's role in the film, Siva said, "Ajith sir plays an innocent yet flamboyant role. He has done extraordinarily well in both the village and city backdrops in the film. But, his traits in the film will be the same in both backdrops. Audiences can totally witness his enthusiasm, energy and dynamics in Viswasam." Siva said that Ajith used to give inputs during the initial stages when the script was in the development process. "Viswasam is a tailor-made film for family audiences. It has a universal subject which will connect with everyone. Ajith sir always chooses his script based on one main factor. Every person who watches the film should be able to relate to the story. And, that's how he picked Viswasam also. He would give his inputs occasionally during the scripting stage. Once everything is done, he won't interfere at all. He would completely surrender as an actor and will surprise you with his acting prowess on sets. He has an inimitable screen presence." He further added: "Both comedy and emotions have been equal importance in the story. I have written the script to appeal to all centers of audiences. Ajith sir has done brilliantly in comedy sequences. Yogi Babu, Vivek, Kovai Sarala, and Robo Shankar form the battalion of comedians, who will bring the roof down every now and then." 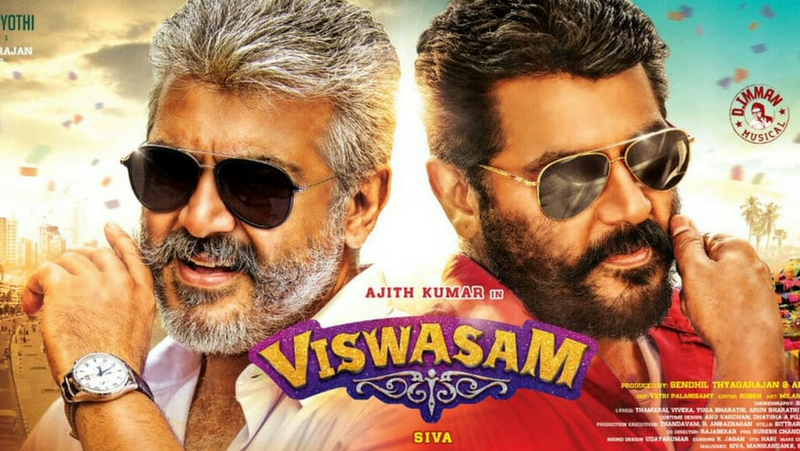 Except for music composer Imman, who has scored the music for a Thala Ajith film for the first time, Siva has retained his same technical crew of lensman Vetri, editor Ruben and art director Milan for Viswasam. "Technically, Viswasam has come out really well. Cinematographer Vetri has been traveling with me for more than two decades of my career. I've worked as a cinematographer before wielding the megaphone. But, he still continues to surprise me with his beautiful frames and work. Ruben has done a great job as usual. There's an intense rain fight in the film and it will be a treat to Thala fans," he said. Asked about Nayanthara's role in the film, Siva said, "She is acting in my film for the first time. But, I've worked with her earlier during my stint as cinematographer. She's now headlining a lot of women-centric projects and holding the screen single-handedly. She has a full-fledged role in the movie and has two different makeovers. She has churned out a fantastic performance in the film. When she comes to the shooting spot, she would never go back to the caravan without completing her scenes. She would put a chair, sit and watch the proceedings. She doesn't have any starry airs at all." 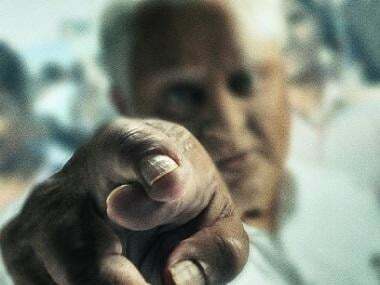 Although Ajith is likely to team up with director Vinoth of Theeran Adhigaaram Ondru fame back to back, Siva says he is hoping to join hands with him for the fifth time. "I really wish to associate with Ajith sir for the fifth time. I wish it happens soon. I'm a voracious reader and I have a historical script in mind for him. If all goes well, I would definitely like to get off the ground with that script next with him," Siva said on a concluding note.